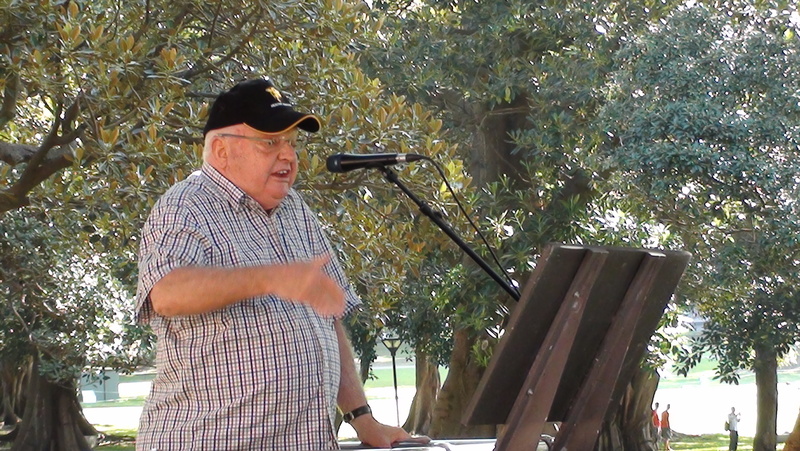 News for Speakers’ Corner, Sunday 7th April | Speakers' Corner, Sydney. 1. An unusual day! Steve and Mr B didn’t hold their meetings because they chose to support a fellow called Tim. Tim had organised a special live-streamed function in which ten speakers would present varying views about pill testing and the decriminalisation of drugs. The ten speakers did their thing and it was all well organised. The ten speakers were adept at irritating the hecklers, and at times things got “tight” between the two parties. By the end, insults were flying about like an endless stream of startled sparrows. 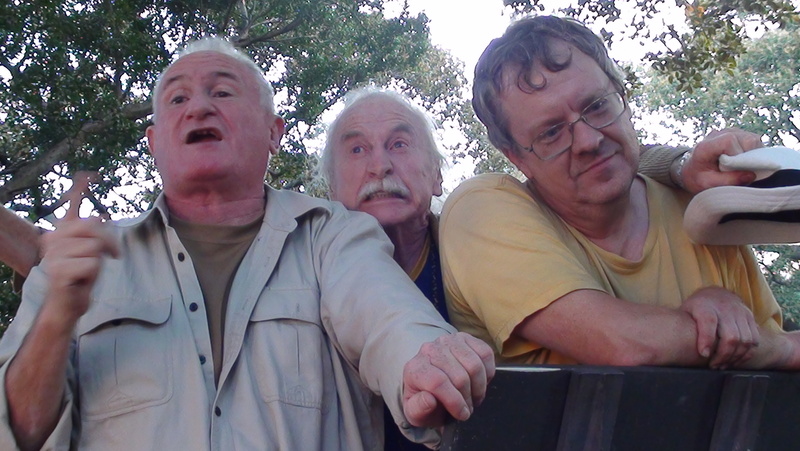 Early in the event, on the sidelines, a didactic Uncle Pete got the grumps with Mr B. (Who would have thought that would happen?) One softly spoken man stood up for the delicate Mr B, so the “erudite” Uncle Pete abused that man as well, with language Shakespeare would have described as most foul. It later turned out the man was a Christian Minister from the Wayside Chapel, and one of the speakers. The reverend did a good job of presenting his case. 2. You have heard of speed dating? Well, when the special event concluded we had speed debating. John August and Peter the Younger were to each speak for just 2 minutes, three times in turn, to discuss the topic, “Is there climate change and is it human induced?” Then they’d answer questions. It all went to plan. Both men were fiery and the crowd were transfixed. It was an entertaining half hour. Your scribe’s biggest concern was for the irate Ben the Whisperer, who went purple. For Question Time, John and Peter stood together on the podium. Steve Maxwell crept up behind them to make it look like a reunion of the three stooges. It was a spooky impression. Thanks, guys. After the debate, Steve Maxwell took over and the day finished at about 5.15pm. 3. Don’t forget to watch SBS from 8.35pm this Wednesday if you want to see a few minutes of Speakers’ Corner, even though you can see the place in 3D for three hours if you come on Sunday. In the program, a few Christians speak on the Ladder of Knowledge, and from the trailer we know that Mark the Grinner disgraces himself with unbridled arrogance. 4. In a few weeks, on the Sunday before the federal election, Tim will hold another meeting, similar to that of today’s. He will again get our speakers’ cooperation. Tim’s speakers will be representing some of the minor political parties, and if you’re interested in what they might have to say, turn up. 5. Somehow, Tony Boyce turned up on time today. Usually, the change in Daylight Saving Time stuffs him up. 6. 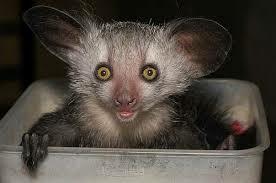 In our Unusual Critter Series we present to you the aye-aye lemur, from Madagascar. This individual is a big fan of our Facebook page when its internet connection is working.